Learning a language opens the doors to new experiences, new cultures, and a new way of thinking. Trust me when I say that learning a second language will change your life. 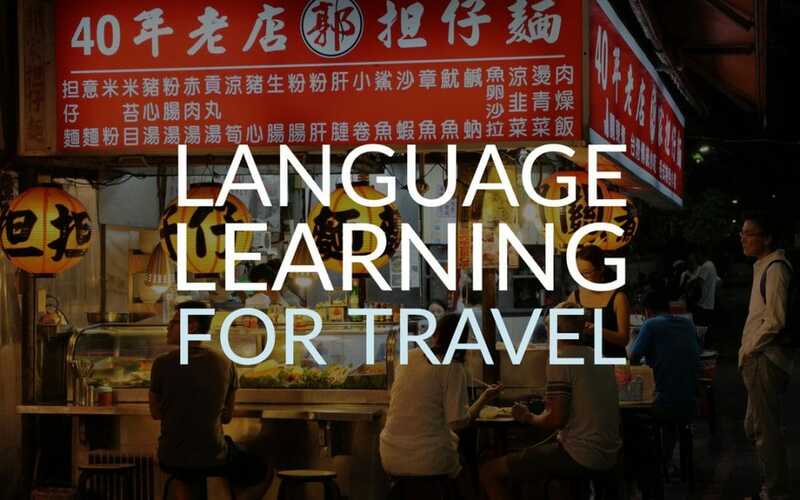 The focus of this blog post is language learning tools (apps, software, courses) for travel. Many people learn a language for fun and for work, but never use their skills in a foreign country. 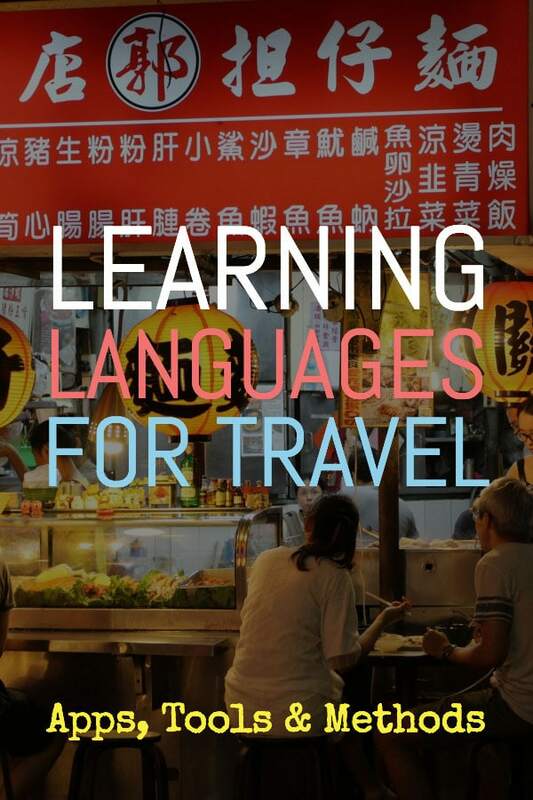 But we're travel fans, so let's look at apps, methods, tools, and resources for learning a language to help enrich your travels. The learning systems in school instil us with the belief that studying languages is an easy way to get a few more high grades. But learning a language has many benefits in real life (yep, who'd have believed it?). People travel more than ever now. And we can't always rely on English. In fact, we shouldn't rely on our native language. Helps you deal with the everyday stuff and customs of another country without resorting to using English or checking your mobile phone for answers. Builds rapport with the locals and helps form relationships. Travel is about culture, not just your Instagram snaps, right? Gives you a sense of achievement and accomplishment. Opens doors that language barriers keep shut (work, love, friendship). Can help you spot and prevent scams. 13 Which Countries To Visit For Total Immersion? 14 What’s The Best Language To Learn? First of all, I don't want to exclude non-English speakers but if you're reading this, there's a 99% chance you speak English at a high level (native or 2nd language). So, a word about native or fluent speakers of the most commonly spoken language in the world. English speakers are, to some extent, at a disadvantage when it comes to learning a foreign language. How could this be a disadvantage? Well, you've got the number one dialect for travel right in your brain. But with learning languages, command of English can be a stumbling block. Let me explain. The entire world seems to want to learn English. Let’s say you’re conversing with someone you don’t know in their native language. If they spot you’re a mative speaker and they are learning the language, it can be a challenge to stop the conversation from reverting to English. I can’t blame them. It’s a natural thing to do. Is it possible to quickly learn a lot of vocabulary? Yes. If you look at the number of words we use every day, it’s quite a limited pool. Many people spend their lives conversing with only a few hundred regularly used words. 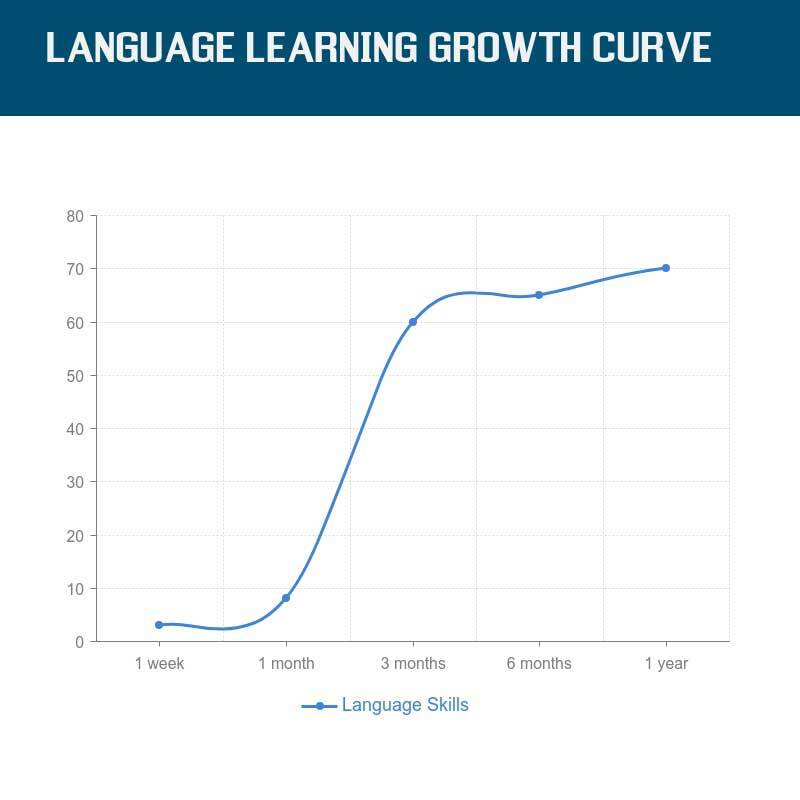 That’s why language learners can make a lot of progress at the start of their language learning journey. I always find that gains in learning taper off once you’ve learned the words, phrases, and grammar to converse and get by on an intermediate level. It’s often the reason people claim to be fluent in a few weeks. Unless you’re particularly talented, that’s not going to happen. Wikipedia defines fluency as “the ability to produce language on demand and be understood.” We can take from this that even if you have bad pronunciation, a bad grasp of grammar and limited vocabulary, you're fluent if you can form some kind of coherent sentences on demand. I’d disagree with Wikipedia on this one. But I believe that speaking without embarrassment, even if you make lots of mistakes, is very important for improving. One approach to learning a new language is the total immersion method. You drop yourself in a country and try to speak as much as you can right away. This is much easier to put into practice in a country where English isn’t widely understood. This is also the toughest method. There's no lifeline. If you get frustrated easily or you can’t handle a little embarrassment, this might not be the method for you. I’d recommend everyone to try it at least once though. You might need pre-preparation (phrase learning, language courses) but I've met people that learned on the fly. Another approach to language acquisition suits people with time to invest before travel. Here are a handful of the many apps, tools, courses, and methods for studying your idiom of choice. I've used almost all these tools. As each is suited to personal learning styles I won't rate one over another. I’m a fan of Pimsleur. It helped me learn Spanish when I wasn’t living in a Spanish-speaking country. The Pimsleur concept uses a repetition learning method. While learning through repetition might not appear to be the smartest or most efficient way to improve, it works. Pimsleur has been around for many years and has had plenty of success in the language learning field so the company must be doing something right. It works like this: the presenter (almost always a man with an American accent) briefly introduces a section and begins saying phrases. A short pause then follows and then a native speaker says the phrase in the target dialect. The phrase is then broken down into smaller chunks for repeating. It sounds like a very rudimentary way of learning but it's effective. In fact, it mimics how we learn to speak. I never found the methods boring as it gave me a sense of achievement. And the dopamine hit from achieving a goal (even one you hadn't predetermined) is a powerful impulse to continue learning. The Rosetta Stone language courses enjoy a reputation so strong that the vast majority of people searching for “Rosetta Stone” online are not looking for information on the third century Egyptian stone carved with three ancient scripts. Rosetta Stone, these days means language software (cloud-based). PC Mag gives the Rosetta Stone a rating of “excellent” and calls it the “best full-featured language learning software”. It’s not the cheapest option available but it’s one of the most established and well respected. Courses include Persian (Farsi), Pashto, Swahili, Urdu, Dari, Filipino, and Hebrew, as well as more common languages, are available. The learning programs include visual-based testing and private language coaches. There's a free demo on the site for anyone that wants to test it out first. One of the oldest running online course providers, Coursera used to be a free website. In the last year or so, this has changed. There’s still a free trial available and financial aid is available to qualifying students. The structure of courses on the website and the payment methods change frequently (one of the annoying aspects of the site) but you can still get a lot of value for free. And the course material is high quality. Coursera encourages students to follow a certification path so they can prove their competency in the courses studied. If you don’t need the certifications you can still follow the syllabus and learn for free in many cases. 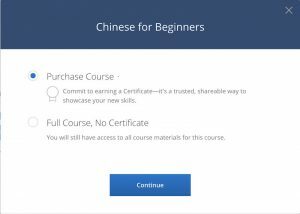 At the time of writing, the Chinese for Beginners course is $49, which seems like good value, considering the difficulty of producing good Chinese language learning courses. Tip: use a plugin like Honey for Chrome which finds discounts on Coursera (and hundreds of other websites) – read more about Chrome Extensions for Travel here. Udemy might be the king of all online course providers. It's a huge website with thousands of courses on every topic imaginable. One advantage of Udemy is that anyone can post a course. So you can find a course on (almost) anything. But if anyone can post a course, it’s inevitable that the quality goes down. Luckily, there’s a review system that pushes the best courses to the top of the search results. It's worth noting that the review system is not perfect. Content creators can game the system and the best course for you is not always the highest-rated course. My advice is to review the contents of each product and see if it suits your level. Intermediate learners won’t love a 30-lesson course that spends 25 lessons in the beginner phase, no matter how many 5-star ratings it has. Podcasts focussed on teaching you a foreign language. Podcasts of news items and general topics in your language of choice. The Language 101 podcast brand falls into the first category. Courses are split into domains like SpanishPod101 and ChinesePod101. Many other languages are covered including Bulgarian, Finnish, Vietnamese, and Afrikaans. The podcasts are enjoyable and the material that comes with a paid course is high quality and professionally produced. I’ve used the Spanish, Thai, and French courses in the LanguagePod series and I’d recommend them all. The website often has discounts for courses (sign up for their emails) and with the reduced price, the courses offer great value. You can download some podcast episodes in all categories can for free anytime. Spanish Obsessed is another good podcast for Spanish learners that tackles regional accents and country-specific terms. For a more general approach to learning try The Actual Fluency Podcast. Kris Broholm interviews learners, teachers, bloggers, and all sorts of people that have interesting stories about language acquisition. For the second type of podcast, your podcast player's speed controls will help you learn. Pick a news show, sports commentary show, or podcast about a topic you're interested in. Slow down the speech (without changing the pitch of the voice) if you're a beginner. This makes it easier to hear and absorb the information. Let’s say you’re into football (or soccer, for our American friends). Listening to a Brazilian podcast about football (in Portuguese) could be informative (depends on the podcast) and a good learning experience. If you’re a beginner, it’s a good idea to slow the recording right down and pick out words. The Apple Podcast player, Stitcher, and Overcast podcast apps let you slow down or speed up recordings. 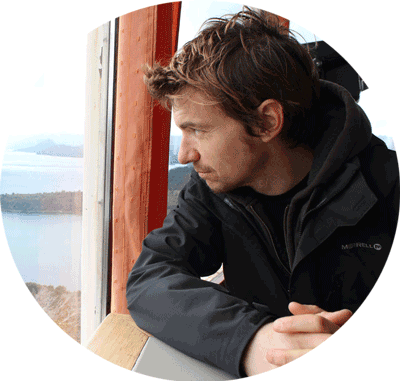 Benny Lewis is a digital nomad and smart businessman. Benny speaks 11 languages, but he wasn’t always a polyglot. Until his twenties, Benny spoke only English, despite sitting through years of language classes in school. Benny wrote a book called Fluent In 3 Months, which explains how he transitioned from a single language speaker to a multi-language speaker. Benny states that the Chinese Is Easy product is not a language course. It’s a learning approach. What’s the difference? Well, he’s trying to get you started and bypass some of the more laborious tasks of language learning. It’s a set of shortcuts to get you speaking. If you’re not happy with it, there’s a 30-day money back guarantee. Most of these are useful languages for travellers and tourists. Others like Irish and Esperanto are more for the language buff. With a smattering of Chinese, Arabic, and Spanish you have opened the world for communication. Benny has his critics and I don’t believe that anyone can be fluent in 3 months. But just like the 4-hour work week (the bible of digital nomads everywhere that work 80 hour work weeks), the title is just for branding. It’s a catchphrase. Apps for your phone, tablet, and desktop computer. This new app has taken the top spot on my best language learning app list. Using flashcard style quizzes and lessons, Mondly app helps you match words and sounds with pictures. It's visual learning at it's best and is very effective. You get the chance to converse with the software by answering questions (via your microphone or keyword) and holding an entire conversation. A great way to practise your speaking skills. This is one of the best features of the tool. There's a good range of languages to choose from including Hindi, Thai, Vietnamese, Hungarian, and Ukranian. And these are just the languages available to speakers of English. The app caters to other native speakers wanting to learn another language. If you've ever tried the double-immersion method (I word I invented – don't look it up), then you'll know what it's like to learn a new language through one you already learned. So for example, I might want to learn Thai (I'm a beginner) through Spanish (I'm advanced/fluent). This helps me reinforce my Spanish skills while gaining a new skill. 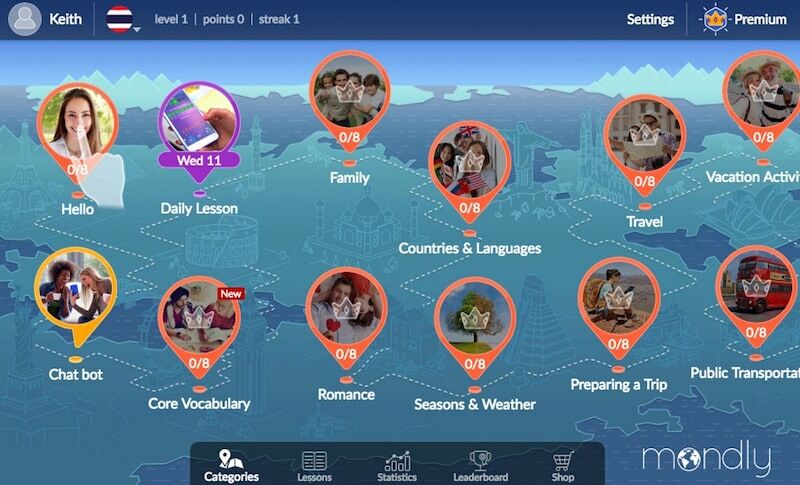 Mondly has a web app and a mobile app version. There are some differences though. For example, Thai for English speakers is not available in the app. The app is pretty basic with the free version but the monthly plans are not expensive. This is one of the first products to pop up on any search for language learning apps. Duolingo is a handy tool for supplementing your language studies. It won’t replace a course or a good language learning system, but it’s a good tool to have for studying on your phone. Duo lingo is extremely popular and I like it, but it has flaws. Duolingo uses gasification (learning through tests and games) to help you progress. It’s free so you won’t have to worry about forking over money when you get to a particular stage of your learning. But there’s a limit to what you can learn with Duolingo. I’d recommend using a course or software that will give you a head start in your language of choice and use Duolingo to reinforce the knowledge you’ve gained. Think of it as a kind of teacher that prompts you to come up with answers. Test and evaluate, is my advice. I used Memrise for about 2 years to improve my vocabulary. The app uses flashcards for teaching through repetition. Words and phrases appear repeatedly in order to force your brain into remembering them. That’s the theory at least. 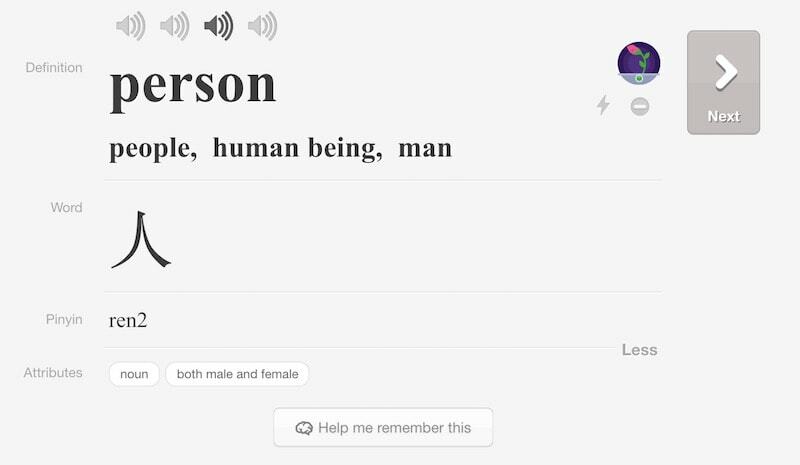 But Memrise has a few tricks that regular flashcard applications do not. Like Duolingo, quizzes test your ability to write words, recognise characters, and read phrases. If you fail on particular phrases, you will see them again later on. For each flashcard, you can listen to the pronunciation at different speeds and with different voices. 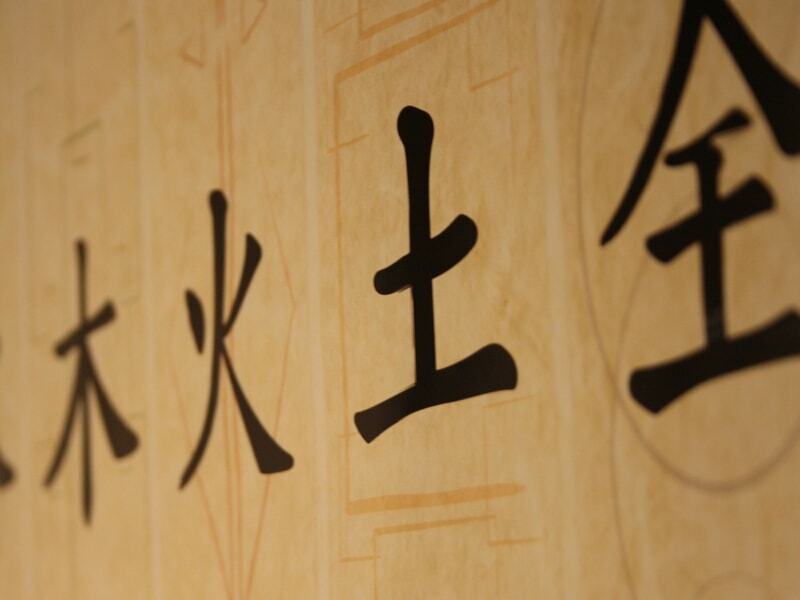 In the beginner Chinese course, the Chinese characters appear alongside the Pinyin pronunciation. Every English translation is also available at the click of a button. Memrise offers courses in Spanish (Spain and Mexico), Chinese, Japanese, Turkish, Arabic and most European languages. The software works in your browser or as an app on your phone. I asked the netizens of Reddit which apps they would recommend for learning a language. Anki is an app that came up over and over. It’s a flashcards app that works across most browsers and devices. Not just for learning languages, Anki is useful for memorising anything but the language learning community has adopted it as the go-to flashcards app. For the difficult Asian languages try Lingodeer, a beautiful looking app and free for the moment. SmartCards+ is another top-rated flashcards app with a great user interface. Italki is a great and inexpensive service for learning from native teachers. HelloTalk is like iTalki but it runs as an app on your phone. Find a language partner and start chatting. It’s that simple. The app also comes with tools that help the learning process like translation, pronunciation aids, and corrections. 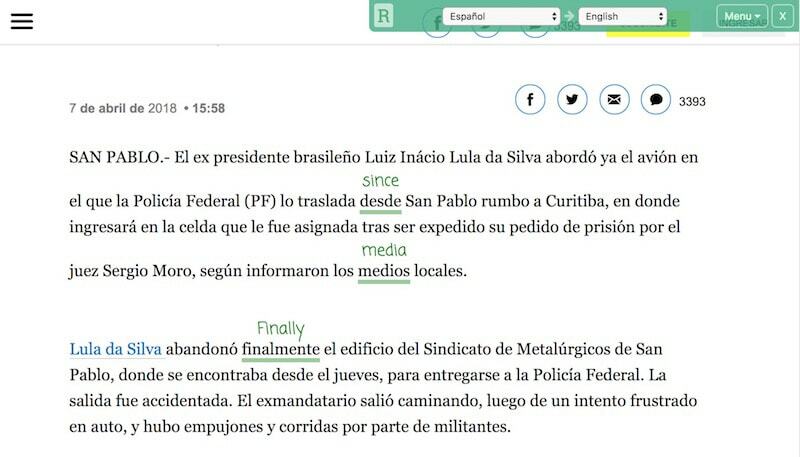 MateTranslate is a new Chrome plugin that lets you save vocabulary from Netflix as translations for your language learning apps. It's free and easy to use. This extension is a superb addition to your browser for people that read foreign language websites. Here's how it works. Let’s say your reading Argentina’s La Nación newspaper and you’re having difficulty understanding the Spanish in a paragraph. Click the Readlang Web Reader extension button and then click on words on the page to get an automatic translation. Google Translate does this same function but it translates the entire page (which isn't always convenient). It’s also a bit cumbersome to copy and paste single words into another browser window for translation. Readlang Web Reader works with lots of languages including Mongolian, Korean, Finnish, Chinese, and even Maori. It allows for customisation of how the extension highlights text and translates. The words you highlight and translate go to a database on Readlang. You can then review the words as flashcards. It works like Memrise but only uses words you translated. So it’s an even more personalised level of learning. It also works on tablets and phones. Readlang of my favourite tools for language study. The Google video giant is the second most powerful search engine in the world and the number of video hours uploaded every minute is staggering. So it’s no surprise that videos to help you learn are easy to find. Keep in mind that for every good video there are ten bad ones. Teachers often post free videos and even entire courses to either get you subscribed or signed up to their email list or to get revenue from the ads that play over the clips. There are also lots of language learners that document their journeys and offer advice and tips for like-minded individuals. Sometimes the best teachers are the ones that are just a small step ahead of you. They know your pain points and can help better than a teacher who has forgotten what it was like to be a learner. This a bit of a strange one and something for the Tim Ferriss type personalities. The idea is that you listen to foreign languages as you sleep. Sounds like a good plan. In theory, it could work. In practice, it’s impractical. Not to mention the sleep interruption from voices in your head. Pass on this one unless your life depends on learning a new language. The only time I would consider this is when I’m flying. I can’t really sleep on a plane and the sleep I get is of poor quality so I might as well use the time to do something productive. Listen to audio tapes of the language of the country you’re heading too. With luck, you’ll learn a few words and they will be fresh in your mind. At worst, you’ll get bored and fall asleep. Either way, you’re ahead. Music, as a mnemonic, is a superb way of creating emotions around a language. Liking the music you’re listening to helps a lot. If you hate Salsa, then it’s not a good idea to listen to this music as practice. You’ll just associate the whole learning experience with negative emotions. Rock music in another language is a good way of introducing yourself to popular phrases and colloquiums. This is a radical way of learning but depends on you already knowing a second language. Let’s say you speak French to a high level of proficiency (English is your first language). Trying to learn another language like Thai through French can help in two ways. It slows you down a little so you won’t skim or brush over explanations. Sometimes we can read in our native language without absorbing the information. Reading in another language can force the brain to make new connections and force the words into the “database” of the mind. It creates different neural pathways to the language. As with mnemonics, learning through another language can help us remember vocabulary and grammar better. This works well if you’re a fan of comics and you learn better through visual methods. Comics are great because every scene is matched with an image. There’s a lot of dialogue there too so you've got several reasons to choose comics. The obvious choice here would be Manga. 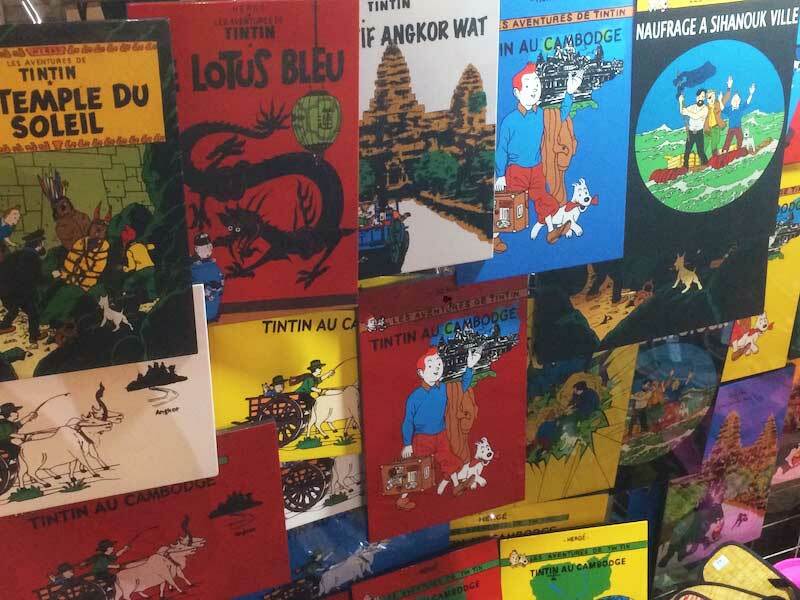 But you could also read Tintin in its original French. Change your phone and computer interfaces to the language you want to learn. This makes things a little awkward, but in my experience, the more difficult and uncomfortable a situation, the better your brain will remember the words. Ever had an argument with your significant other in another language? You won’t forget the words they used. You also won't forget the words you scrambled to find in a hurry. Emotions help with learning. Fact. Another radical approach is to only speak the language you’re learning for a certain period. We could call this total immersion but the idea is to not speak your native language with anyone, even people that speak your language. If they can’t communicate in your target language, use an interpreter. Yep, it’s extreme. But it works and it some learners have tried it with success. When I moved to Argentina, I found an apartment in Buenos Aires with several rooms. The rooms I rented out to other travellers came with one condition: You could only converse with me in Spanish. No English or any other language I might understand. It worked a charm. My English, Irish, American, Argentine, and French flatmates, all spoke Spanish 99% of the time. The rules change in real emergencies, of course. I’m sure it seemed a little strange to my new flatmates but in the end, everyone loved it. Which Countries To Visit For Total Immersion? Want to know which countries have the highest and lowest English-language proficiencies? The English First website has a proficiency index. Here’s the rating for China. The number one country in the world is the Netherlands. If you’ve ever travelled or lived in the country, you’ll know it’s difficult to practise Dutch. I spent 4 months there one time and almost every time I tried to speak Dutch, the reply came back in English or the conversation returned to English. They’re not trying to be difficult but the level of English is so high that the Dutch can switch without problems. Even people that one might consider less well educated, such as bakers, repairmen and cleaners, have a command of the language that puts some natives to shame. Dutch is considered an easy language to learn for Anglophones (the languages are closely related) but practising in everyday life comes with challenges. Laos gets the lowest score of the 80 countries in the ranking list. Asia, as a region, however, has the 2nd highest level of adult English proficiency. I speak fluent Spanish and I’ve studied French, Chinese, Thai, Portuguese, and Japanese to varying levels of success. Spanish is an easier language to learn but the adage “easy to learn, difficult to master” still stands. Even if you’ve got 6-12 months of solid Spanish learning, land yourself in a bar in Buenos Aires at 2 am and see how your pronunciation listening practice helps. But compared to Chinese, Vietnamese, Urdu, and even some European languages like Polish, Spanish is an easy language to learn (for English language speakers). We can add Portuguese, Dutch, French, Italian, and even Romanian to this list of easy to learn dialects. The best language to learn comes down to your personal preferences. If you’re going to live or travel in China, it doesn’t matter how easy it is to learn Spanish or French or any other language. But thinking long term, there are other reasons for learning a particular language. The number of native speakers and the geographical area covered by native speakers is one reason. Spanish is a great choice because it’s spoken in several continents and is used in business and travel. Chinese might seem like the obvious first choice here but it’s just one country. Admittedly, that’s a huge country with an incredible number of native speakers, but a language like Spanish is spoken widely in Europe and the Americas, and also in some African countries. English, Spanish, Chinese, Russian, Arabic, French. English – For obvious reasons. Russian – Because the citizens of a good deal of ex-Soviet Bloc countries and Central European countries will understand the language. Good luck with your studies and travels. Let me know if any of these methods worked or didn't work for you.